Mary Stuart wrote this letter on 8 February 1587, completing it just six hours before her execution at Fotheringhay Castle. It is addressed to her former brother-in-law, King Henry III of France. She had written to him regularly throughout her imprisonment in England. The letter is a remarkable document. Mary clearly believes she is dying as a martyr to her Catholic faith. She also displays genuine concern for the loyal servants who joined her English imprisonment. It should be noted that Henry III did not provide the wages and pensions which Mary so poignantly sought. 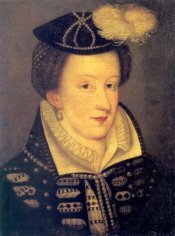 It was King Philip II of Spain who honored her last wishes.